First publication in 45 years! "Vivid authenticity...a sort of buried-treasure legend for adults." "Action, suspense and excitement...pure escape." "Al Colby, Mr. 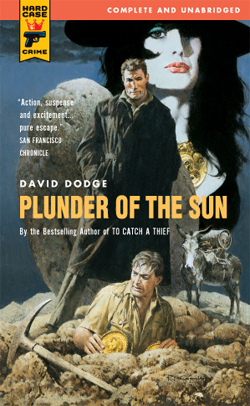 Dodge's resourcefully drawn private detective, is fast becoming our leading expert on South American skullduggery...Good, solid stuff." "A fast game of cross and double-cross."